School starts again tomorrow so this is my last day off. One of the things I like about being home from school is that I won’t have to eat my lunch from a box. 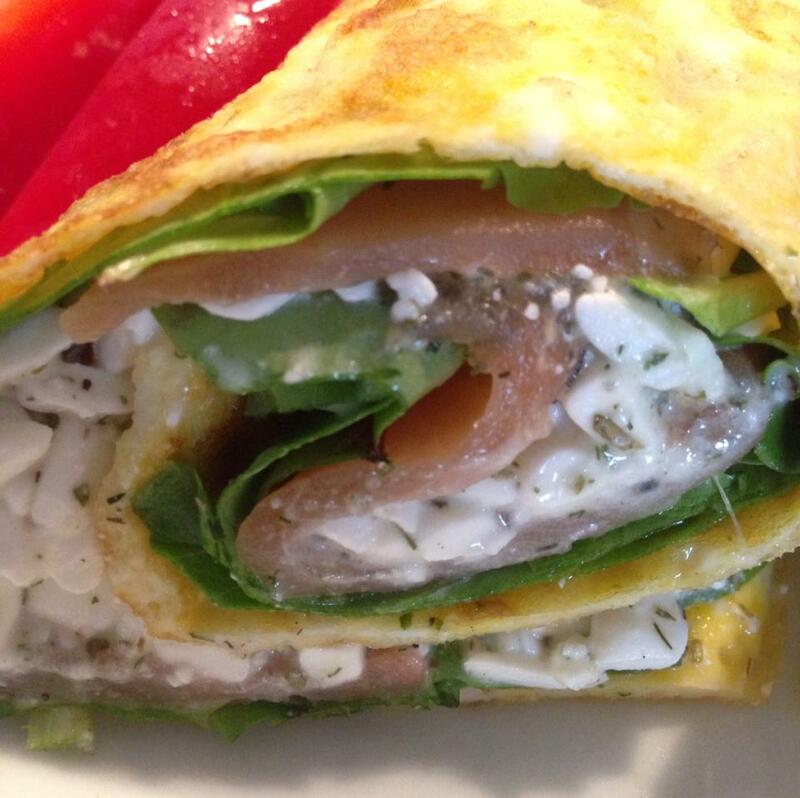 Today I made this delicious egg wrap with salmon and I thought you should see the recipe! How to: Mix the eggs with the herbal salt and cook it on a pan like an omelet/pancake. 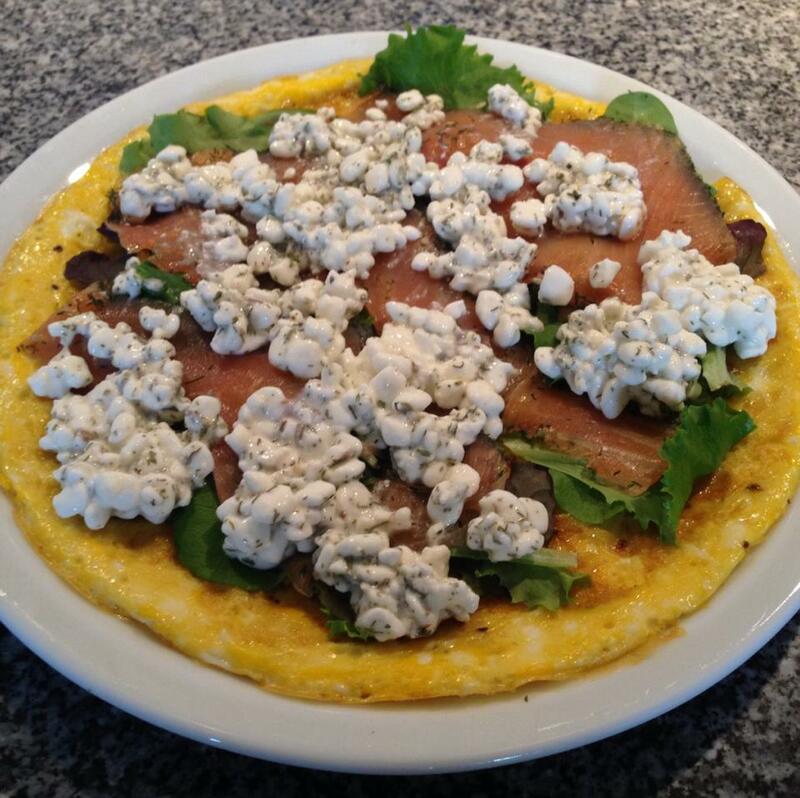 Spread the salmon and the salad on the omelet. 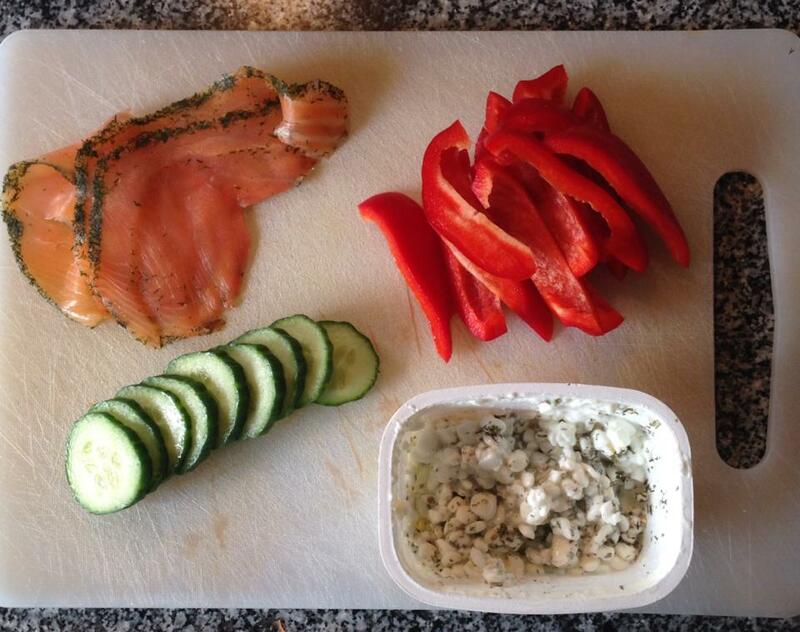 Mix the herbals with the cottage cheese and arrange on the salad ad salmon. 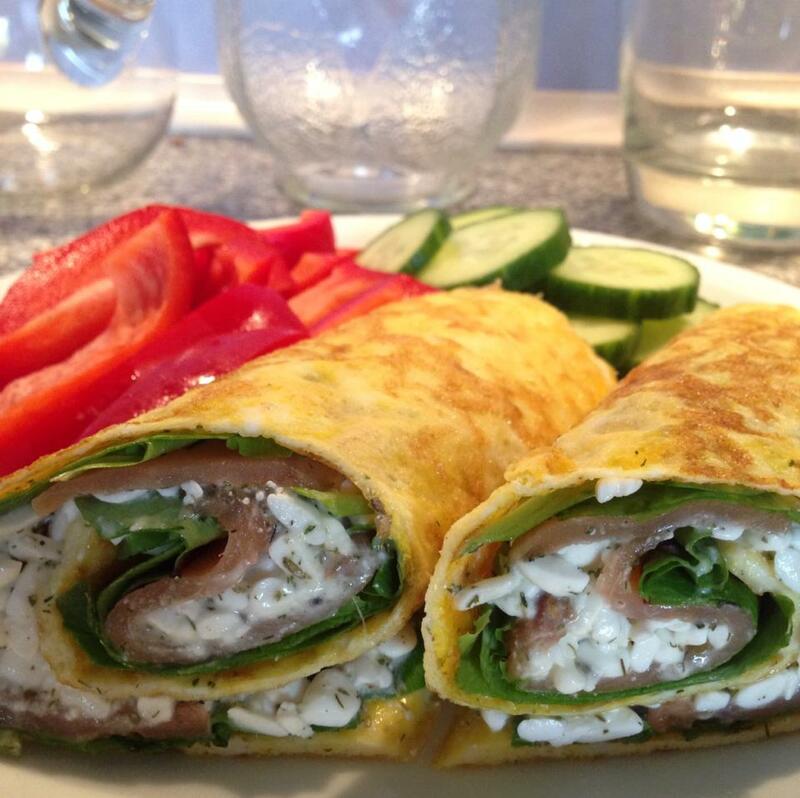 Roll your omelet tightly and cut it into halves. Now Enjoy!